Any spiritual acts that were not deemed under the church standard practices would be considered Witchcraft. Unfortunately this also meant Midwives & Healers. Today, those who joyfully embrace Paganism practice their witchcraft on the true spiritual side of nature. Some will include old historical practices and new practices that are formulated to fit into today's culture. Paganism can be traced as far back to the Greek Roman period.It is a very old religion that holds strong and flourishes everyday. The Wicca religion was formed in the 1950's using some of the Pagan Practices as well as adding new practices and traditions. These new practices have attached the term "New Age" since it is a new religion (1950) around the same time that Scientology began (1954). For many witches whom would rather base and trace their craft on actual historical witchcraft practices will choose Paganism. Also known as the old ways of the craft. It allows them to freely broaden their craft with various older practices such as Shamanism, Hindu, Buddhism, Celtic, Shinto and more. There is no one path in Paganism. Paganism has historical periods as far back as the 6th century. Pagans feel that older and actual historical magickal practices gives them a stronger intense connection with the spiritual side to Witchcraft. They not only are able to harness the in depth energy of it but can trace the root of it, if needed to learn and understand more. Thus allowing them to expand in the craft. Pagans believe that blowing out a candle flame is acceptable since they are using one of the natural elements, air. Your breath is air. Wiccans will never blow out a flame for they think that it is an insult to the fire element. So they will use another method to put it out, such as a candle snuffer. Pagans do not use a rede. Instead they rely on the use of good morals, common sense and respect. 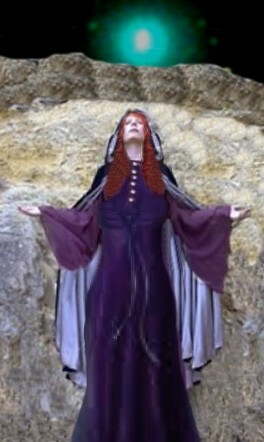 The rede was created specifically for the Wiccan religion in the 1950's. Wiccans created the rede in order to make sure thier ways were upheld. It has the same conception as the ten commandments. Most of thier laws are very good in positive ways. Pagans will draw down the moon to themselves, circle, and/or sister witches, instead of having a High Priestess to do that. 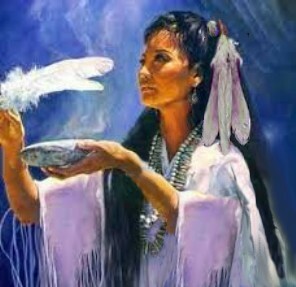 Pagans feel they too have a direct contact with the Goddess/moon. Wiccans will always have a High Priestess to draw down the moon. This is normally done in a Coven. They beleive that a High Priestess is more suited to perform this act. Pagans will petition to a God/Goddess for something that they are in need for. Whether it be getting a new car to replace a bad one or to get a raise in order for them to help get out of debt. Some Wiccans will not use magick to get things for themselves. They consider this "personal gain" which is equivalent to a sin for them. Not all feel this way and refer to it as a grey area. Pagans see no wrong in using the craft in extreme situations in order to protect themselves, family or others. Even if a injury is cast upon someone in order to prevent serious harm or death. Wiccans have a strict rule which is on thier rede, known as "Harm none". They feel there is no reason ever to harm another. However, they will cast protection spells in way of deflecting. Despite the differences there is a key fact that should not be over looked. The Wicca religion is what brought many Witches out of the closet today. Wicca made people in the world realize that it is indeed a religion that many follow. We should all appreciate and not forget that.